A HUGE thank you to @Stealth; for donating 450c towards the Help Desk Department! A huge thank you to @Lewis; for donating 20 Credits towards the Events Department! This will be hugely beneficial to the department. Since Events Organisers mostly supply their own prizes and rooms for their events so we currently run a rewards system which aims to help contribute to this based on their hard work and commitment within the department. We also aim to run bigger events in the future which we will be able to host on a more permanent basis, so contributions like this are very much appreciated in allowing us to offer greater prizes and create better events for the community. I aim to help members of the team who are struggling as well as working on some new unique and exciting wired events and events which are 'different' to what is currently being offered too. Last edited by Martin; 09-02-2015 at 08:43 PM. A major thank you to @Samanfa; for generously donating 100c to the Help Desk Department! Thank you to @Samanfa for donating 100 credits to the Competitions Department, these credits will be used as prizes for Competitions and larger scale events. 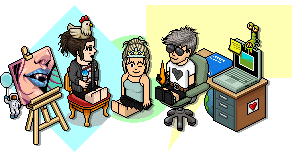 A big thanks to @Brad; who has donated various furni items to Habbox! I've left, but I still visit sometimes! 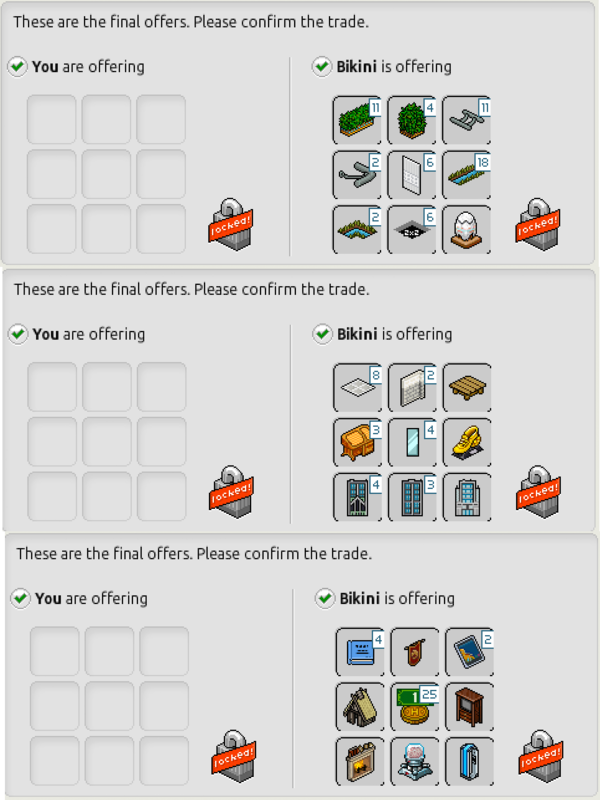 A big thanks to @Plebings; who has donated various furni items to Habbox! Such a massive thank you to @Stealth who has very kindly donated 750 credits to the Competitions Department! These credits will be used for an upcoming event as well as for general prizes. A huge thanks to @!:random!:! ; who just donated some lovely bits of furniture to the Help Desk Department ! A HUGE thanks to Bazzer for donating lots of furniture (55) towards the Help Desk department. Also a big thanks to @Stealth; for donating another 15gbs towards the Help Desk Department too! I'm very thankful to both of you and this will be a huge help towards upcoming events!